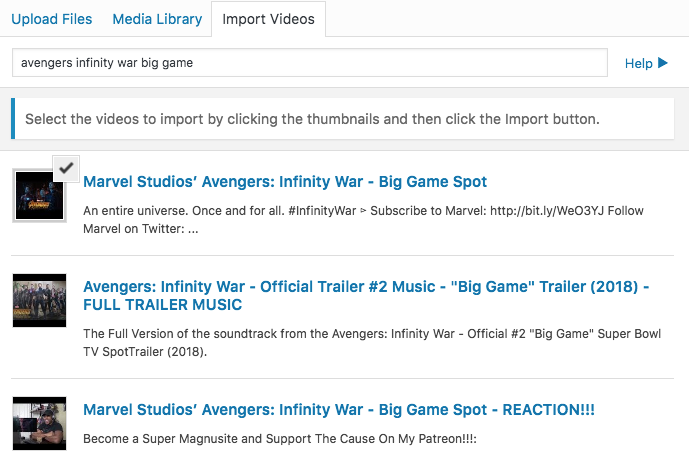 There are a number of ways to import YouTube videos to your FooGallery PRO media gallery. You can also provide just the video's ID in the search input. You can also provide just the playlists' ID in the search input. 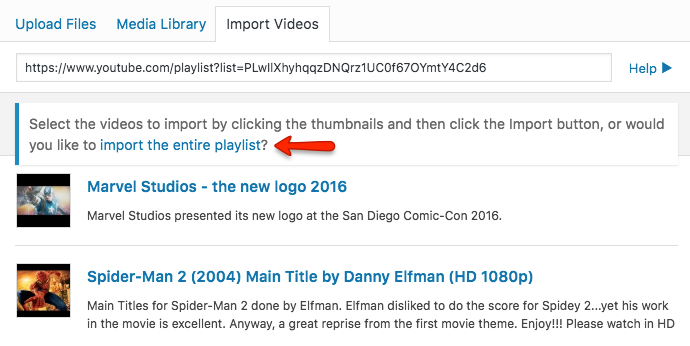 You can also perform a search on YouTube and select the videos to import from the results by simply typing your query into the search input. This will fetch relevant results, from which you can select the video or videos you want to include in your gallery.